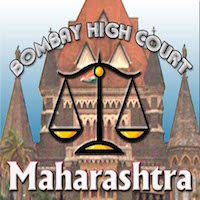 Online Application Details for Bombay High Court Recruitment of 100 Law Clerk is given below. Application form and duly attested documents are to be sent to Registrar (Personnel), High Court, Appellate Side, 5th Floor, New Mantralaya Building, G. T. Hospital Compound, Behind Ashoka Shopping Centre, Near Crawford Market, L.T. Marg, Mumbai-400 001. In envelope super scribed with 'Application for the Post of Post Name'.